Goalscorer Kenny McLean admits Scotland fans were entitled to show their frustration against San Marino – but he is confident he and his team-mates will get them back onside. Table-topping Norwich made it six wins on the bounce as they beat Rotherham 2-1. Millwall boss Neil Harris has several defensive concerns for the visit of Sky Bet Championship leaders Norwich. Joe Lewis will keep a close eye on his home-town club Norwich City and monitor the progress of former Aberdeen team-mate Kenny McLean. Departing Aberdeen favourite Kenny McLean has no worries about the future of the club as long as Derek McInnes is in charge. Departing Aberdeen midfielder Kenny McLean insists he is leaving a better player than when he arrived after helping the Dons finish runners-up in Scottish Premiership for the fourth season in a row. Aberdeen manager Derek McInnes has backed Kenny McLean to follow in James Maddison’s footsteps and become a success at Norwich City. Aberdeen midfielder Kenny McLean says the Dons are determined to regain second spot after feeling they let down their travelling support against Hibernian. Kenny McLean has set his sights on leaving Aberdeen as a Scottish Cup winner. Adam Rooney and Kenny McLean both hit braces as Aberdeen secured a 4-2 win over Ross County in Dingwall. 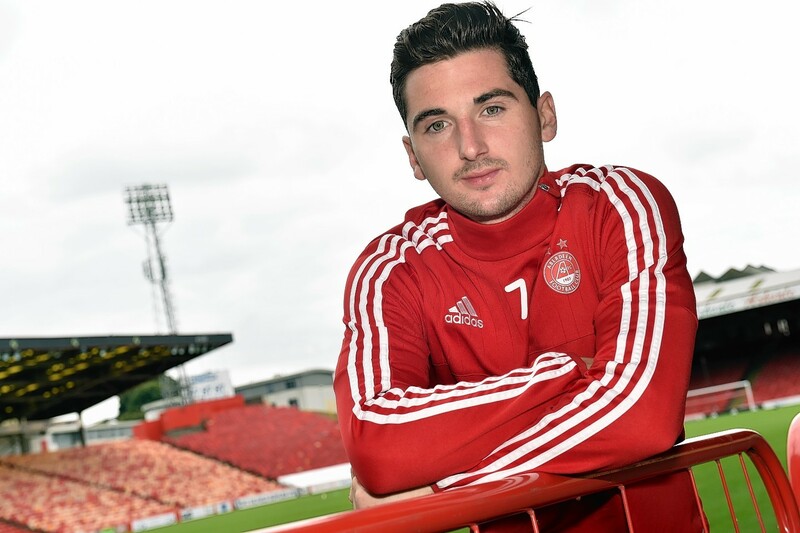 Kenny McLean has set his sights on going out a winner with Aberdeen. Kenny McLean believes Norwich City is the right fit for him after completing his £200,000 move from Aberdeen to the English Championship club. Norwich City have confirmed the signing of Aberdeen midfielder Kenny McLean on a three-and-a-half year deal this afternoon. Kenny McLean is expected to join Norwich City on a three-and-a-half year deal today but the Aberdeen midfielder will be loaned back to the Dons for the rest of the season. Aberdeen narrowed the gap on leaders Celtic to three points with a comfortable 3-1 win against Kilmarnock at Rugby Park. Aberdeen goalkeeper Joe Lewis has no doubt Kenny McLean will be fully committed to the Dons cause, despite rejecting a new deal. Aberdeen manager Derek McInnes has accepted the Dons may be forced to sell Kenny McLean in January after the midfielder confirmed he intends to leave the club when his contract expires at the end of the season. Aberdeen manager Derek McInnes has confirmed midfielder Kenny McLean will leave the club at the end of the season. Aberdeen manager Derek McInnes says the club has begun talks on a new deal with Rangers target Kenny McLean. Securing the future of midfielder Kenny McLean should be a top priority for the Dons, according to former Aberdeen manager Jimmy Calderwood. Aberdeen manager Derek McInnes is adamant Kenny McLean will remain at Pittodrie this season after a £300,000 bid for the midfielder from Rangers was rejected. Birmingham City are interested in signing Dons star Kenny McLean, according to reports. Aberdeen midfielder Kenny McLean has been dropped from the Scotland squad to face England on June 10. Scotland manager Gordon Strachan was convinced he had to give Kenny McLean another chance in the national team after watching the Aberdeen midfielder standout against his international colleagues.